According to a recent FAO (Food and Agriculture Organization of the United Nations) report, between 2005 and 2015, natural disasters cost $96 billion in damage to agricultural and livestock production. Weather disasters such as storms or extreme temperatures caused losses of $26.5 billion and biological disasters, such as pests and infestations, caused crop losses of $9.5 billion. In Asia, the region of the world where agriculture has been most affected by disasters, floods and storms have had the greatest impact. Basically, precision agriculture is about managing variations in the field to increase crop yield, raise productivity and reduce consumption of agricultural inputs. Agriculture still remains greatly unpenetrated by IoT technologies, but perspectives are positive about future market trends. 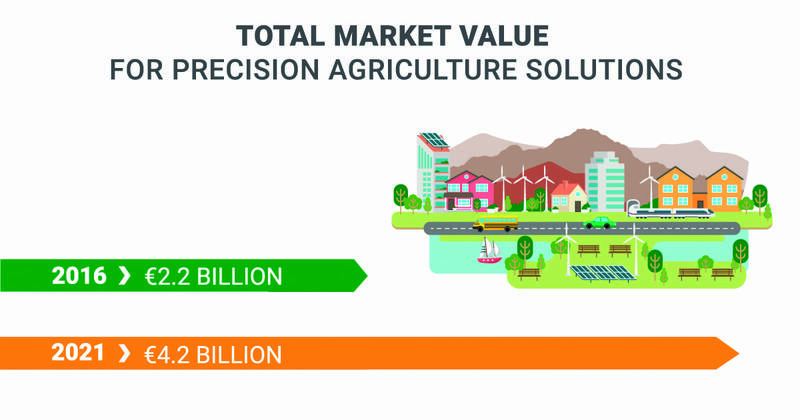 In fact, recent studies estimate that the total value for precision agriculture solutions will reach €4.2 billion by 2021. Moreover, precision agriculture offers a better quality of life and reduces hard labor to attract younger generations of farmers. Re-population in rural areas needs human resources dedicated to agricultural activity. To that end, it is vital that technological investments allow the best quality of life possible. Reducing time and physical labor in the maintenance of farms. 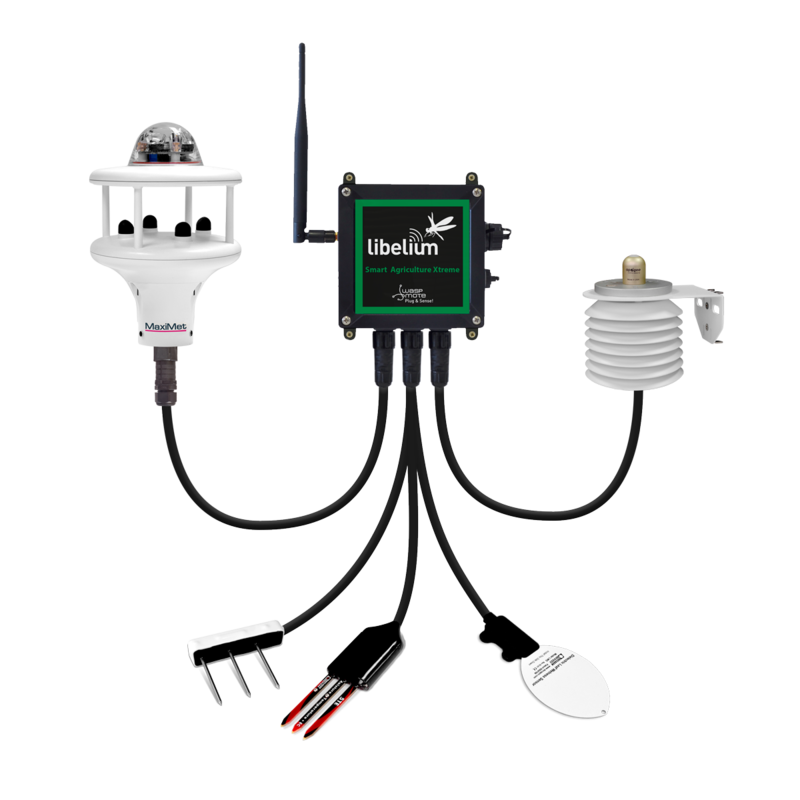 Responding to the growing demand of precision from the smart agriculture devices market, Libelium recently released a new version of its Smart Agriculture sensor node, improving maximum accuracy for crop monitoring. The enhanced Waspmote Plug & Sense! Smart Agriculture Xtreme device includes top market performance sensors for the most exigent field applications such as vineyards, fruit orchards and greenhouse cultivations, among others. The new solution features 32 sensors from the most prestigious and reliable manufacturers of agricultural technology such as Apogee, Decagon, Ecomatik and Gill Instruments. This integration enables the measuring of different parameters related to weather conditions, light and radiation levels, soil morphology, fertilizer presence, frost prevention and daily monitoring to improve crop quality production and to prevent harvest losses. In recent years, Libelium’s technology has been deployed in several worldwide projects that have realized the power of the IoT platform that the company offers the smart agriculture market. Vineyards, cocoa, tobacco, strawberries, bananas, kiwis, olives, baby leaves, corn and even marijuana crops have been monitored by Libelium’s Smart Agriculture IoT Platform. 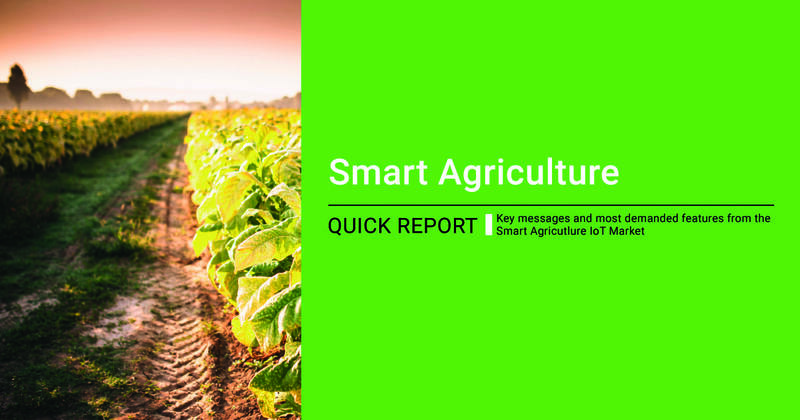 As a result of its vast experience in smart agriculture projects Libelium published a white paper offering a deep insight into how wireless sensor networks can impact the reduction of crop losses and increase production. Discover our Smart Agriculture Kits in The IoT Marketplace.